Hannibal, MO – The Mark Twain Boyhood Home & Museum is excited to announce it will be assuming sponsorship of the Tom and Becky Program. 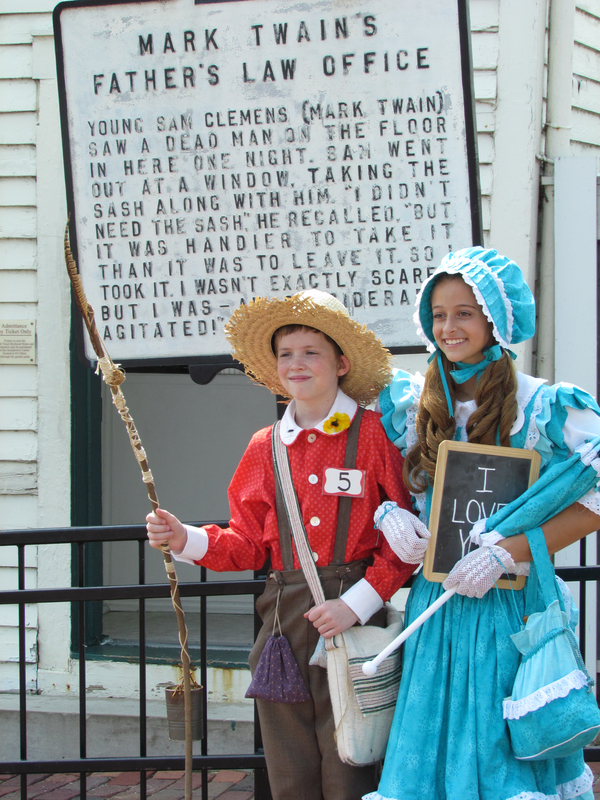 Started in 1956, the Tom and Becky Program was created by the Hannibal Area Chamber of Commerce as a contest to select a Tom Sawyer and a Becky Thatcher to greet 1,200 students coming to Hannibal on a Mark Twain tour sponsored by KETC-TV out of St. Louis. On May 5, 1956 Chris Winkler and Perva Lou Smith were crowned as Hannibal’s first Tom Sawyer and Becky Thatcher before the 1,200 St. Louis children. This developed into an annual program that continues to select a Tom and Becky each July 4th to represent Hannibal as Goodwill Ambassadors.